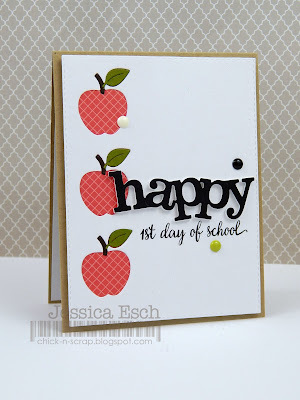 GOOD MORNING my sweet friends & welcome to our FIRST day of our 47th Edition Sneaky Peeks! 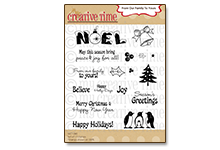 Today we have a FUN set for you that can be used OVER & OVER & OVER again for SEVERAL occasions & holidays! I introduce to you, "Happy Everything!" This set has a total of 21 stamps & one "happy" die! So if you have been on fence on purchasing any items, I HIGHLY recommend THIS set because it covers A LOT! As you can see below how each of my design team members used this set….all different & unique! Starting this month's release with a bang! This is just perfect!!! I'm so HAPPY I can't wait to get my hands on this!! The DT did an amazing job! So super cute, love this set! What a great way to cover everything. Wow! So many wonderful projects by everyone! Emma I love it when you design on the clear cards, they look so cool and neat! This is going to be a fabulous set from what I can see and I'm definitely going to need to grab this for my collection! Can't wait to see the remaining sneaky peeks! I already know I want this...so many creative ideas. Oh wow Emma, you really have thought of everything!!! I know for certain that I NEED and WANT this set! 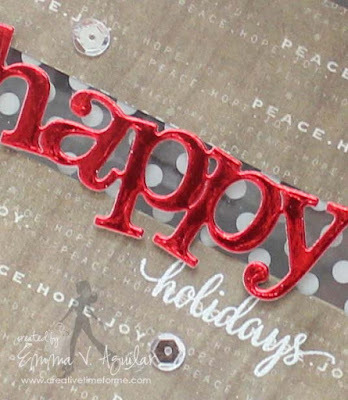 The "Happy" die is just adorable, but the font you used to created this set is GORGEOUS! 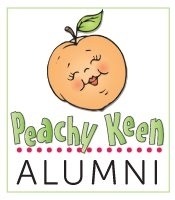 If you can, please share with us what font that is? I would LOVE to have that on my computer. It's beautiful. Your card is so pretty and I love the acetate opening in the front. All the design team projects are amazing! Lots of inspiration! I am looking forward to the rest of the release this week! TFS! This is maybe the most versatile die ever. And it's such a happy happy. WOW...awesome, one set to cover everything. 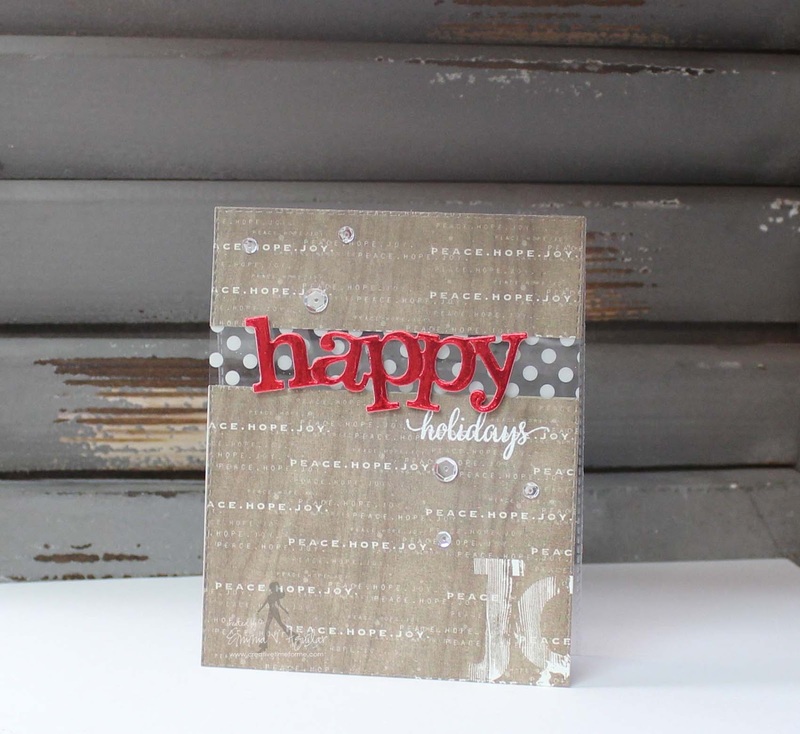 Love your card as well as the other designers' card. Good Morning Miss Emma!! OMG what a super cool and Fabulous Sneaky Peek I love it...sure makes me HAPPY!! 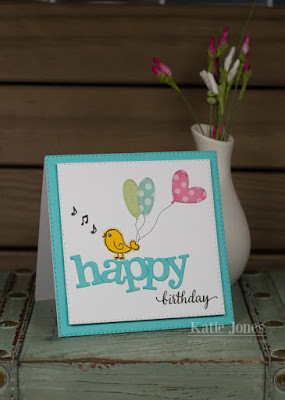 Definitely a Creative Genius idea....great font for the HAPPY too....Your card is Awesome very Beautiful with your Foiled HAPPY and the cutie stamp....thanks for sharing such a fun, clever and creative way to use it too!! 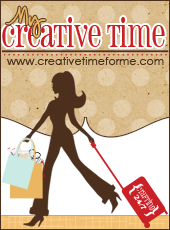 Love your idea for the cooler gift bag another fabulous creative idea & your tag is so cute!! OH this set will be awesome for scrapping too!! Can't wait til tomorrows Sneaky Peek!! YOU ROCK!! Emma, What a "Happy" way to start the day! Wonderful cards and projects you and your DT have done! I can't wait to get this set. 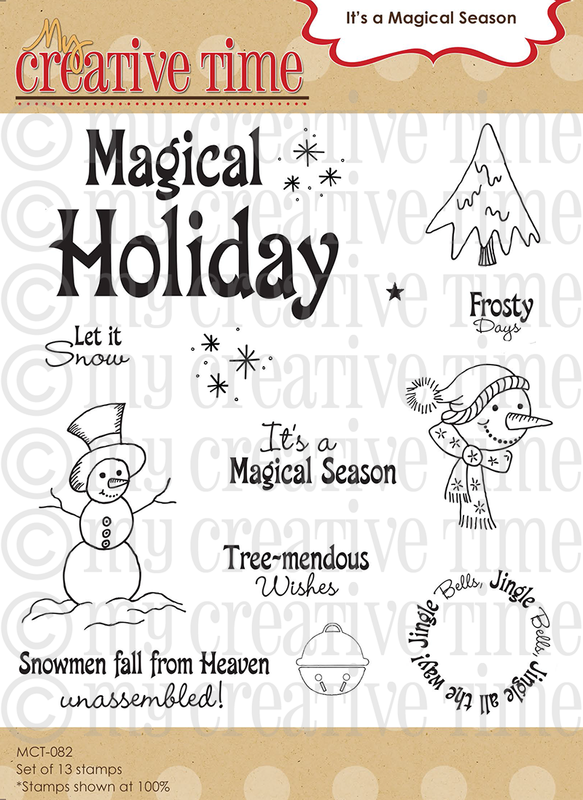 I am already thinking of cards that I want to make. 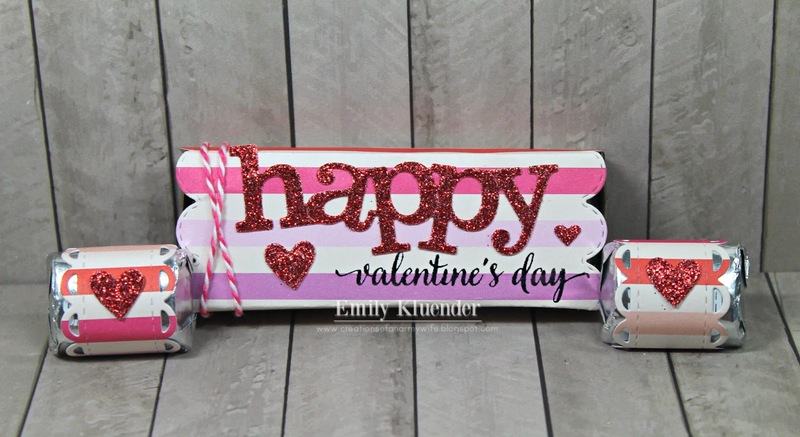 What a great tag and gift idea!! Loved everyone's projects today!! Love the font on the "everything" sentiment. Excited to order this set! Happy 47th release, and many more! Wonderful examples that you and your design team created! This set is great! 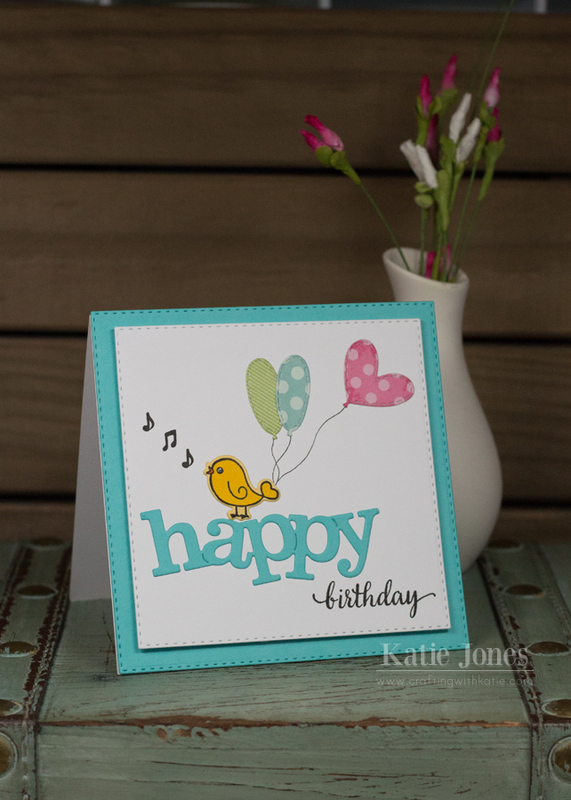 Your card is so pretty and happy, and how awesome is this set to make a quick and cute tag? Love it! Oh! I love this! Very versatile! Love this set....it covers so many occasions. Awesome set!!! I like that it takes you through the year for so many different occasions, and the font is beautiful. I love, love, love this set! 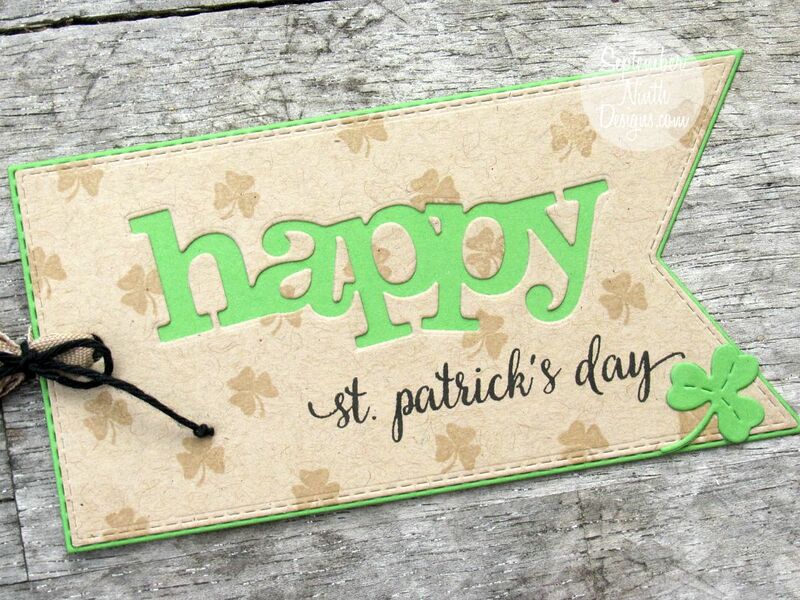 Your card is AWESOME!!!!! So HAPPY to see this set! It will be so nice to have a set to go through the entire year in one spot. Super adorable card, too. Hi Miss Emma! 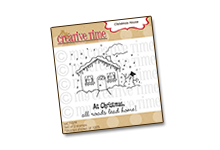 Love this stamp and die set, it's like one-stop shopping! I love this, can't wait to order (win would be best but backup plan is good too)! Hi Emma, I can't wait to see what the rest of the stamps look like. 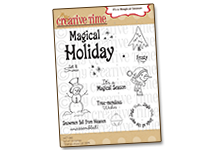 I am so HAPPY to see this assorted holiday set because I can use them all year long! Wow, this set is so amazing. I love it. The sentiment font is so beautiful. Another great release. Wow! 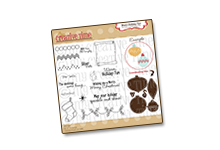 This is a set that every cardmaker needs - especially me! 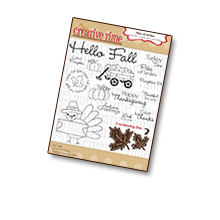 And so many cute projects created by you and your design team! What a cute set! 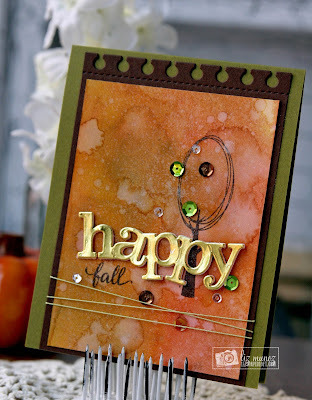 I love the whimsy look of the "happy" die and I love the font on the sentiments. Happy is going to so versatile. It will be in use a lot. the hop was great. So many cute cards. 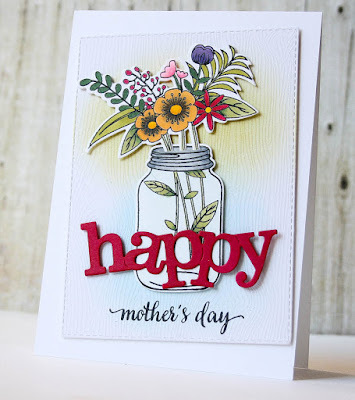 What a great way to use the die on the acetate! This sounds like a "must have" set! Emma, your projects are both great. Love the clear acetate idea. Wonderful! Your tag is really nice too! Saved my comment here for last. Everyone has outdone themselves again with showcasing their amazing projects and the versatility of this magnificent "HAPPY" die and sentiments. 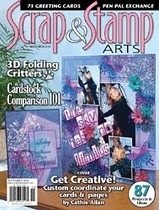 A must have for every Cardmaker out there. LOVE it! Very versatile set... I love how you used the acetate for the card. I'm always intimated by acetate, but the small amount pops up the die and should be easy to handle. Love that Die. The acrylic insert is a great idea. Sweet Projects by all!! 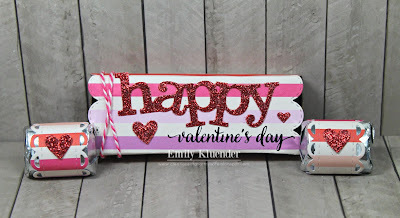 Just love the "happy" die!! I'm just thinking you have "hit it out of the ballpark" with this release. Oh my gosh, love this set!! The Happy die is awesome!! Definitely a must-have set!! Can't wait to see the rest of the release!! The DT samples are incredible! They always do a fabulous job! Thank you for all the awesome inspiration! 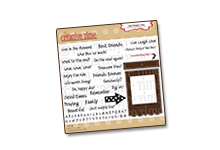 I'm crushing allover that happy die and smitten with your showcase! Consider this added to my list! What a great set! Loving the larger die and those everyday sentiments. What a great idea for a gift! Your tag looks so pretty on the bag. I bet your friend loved it! What a great idea for the Christmas card...I love the clear strip and card idea. The new stamp and die set is for sure a must have set! The design team did a fabulous job showing many of the ways this new set can be used! Love it <3 Great job everyone. 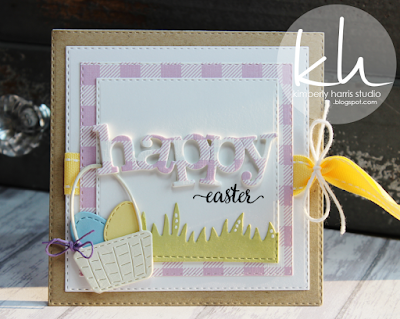 Beautiful cards, and tags. 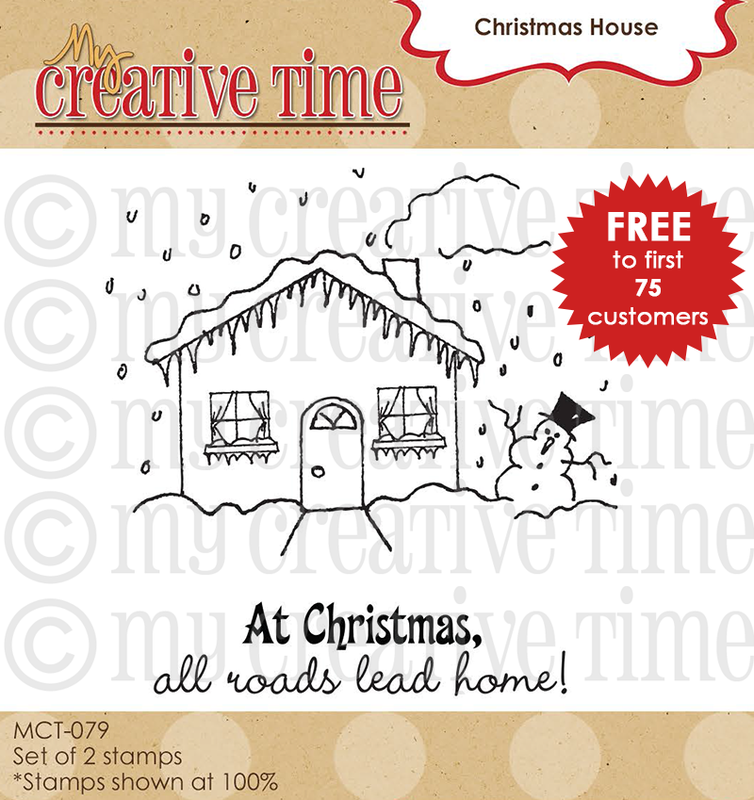 Love this stamp set and so convenient the die is included!! Emma this is going to be an awesome set for every card maker! The DT did an outstanding job of showcasing the versatility of this set and I can't wait to order! 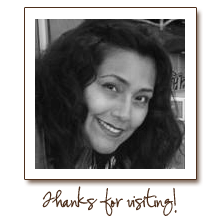 I loVe your card and tag. Thanks for sharing. This set makes me soooo HAPPY. 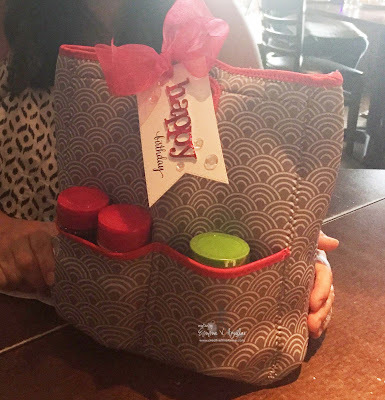 What a fabulous idea for a gift for your friend. I'm excited about this week! 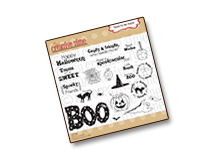 Today's dies and stamp set sounds like a must have. Thank you! I love this set already! What a thoughtful gift for a friend who liked your cooking. The tag for it is perfect. I can not wait to see the rest of this set. Everyone did a fabulous job showcasing the sentiments and fun die that comes with it! 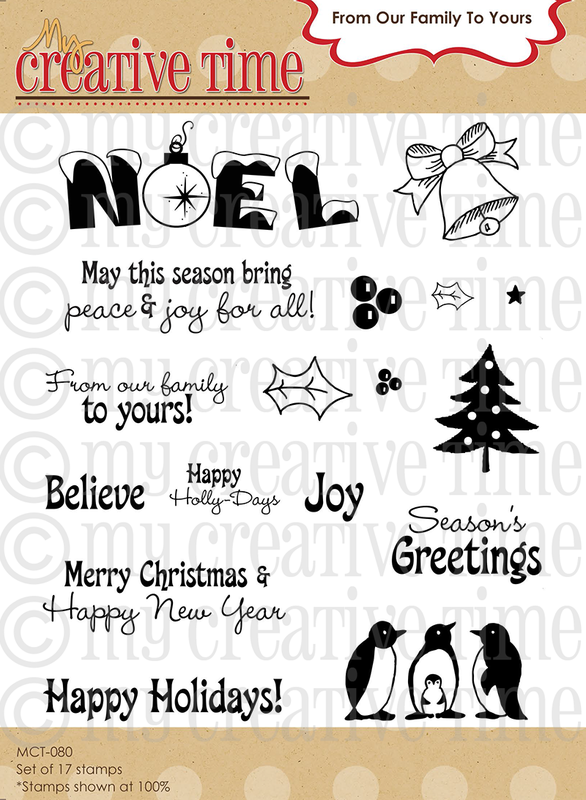 Love your Christmas card with the acetate. Beautiful! Your tag and gift idea for your sweet friend are awesome as well. Love it! Great card Emma! And great set too! Totally cute and fun!! Fun release Miss Emma. Super AWESOME start to release week! Emma ~ GORGEOUS card! I mean GORGEOUS! 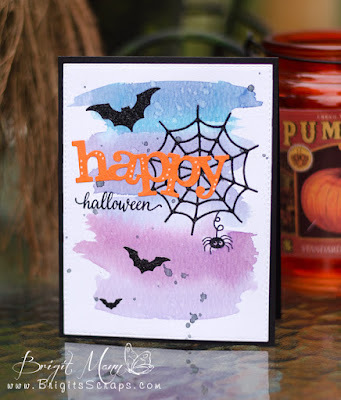 LOVE the acetate idea with the shiny fun happy die! WOW! I never saw that acetate before and I LOVE it! Well I couldn't agree with you more ~ this release is a release that everyone can create amazing projects super duper fast!!!! As always the DT's did AMAZING!!! Oops FORGOT to say I LOVE, LOVE that bag and CUTE tag too!